Click here to view or download our comprehensive ATT Catalog. Our professional training starts where most other advanced trainings end! Choose how far you want to go, starting from the 685 hours you have already completed in earning your CSYT. Set a course that can take you to 3,000 hours or more, in a delicious process of lifelong learning. The knowledge and depth you attain at this level is equivalent to a Master’s Degree in yoga. 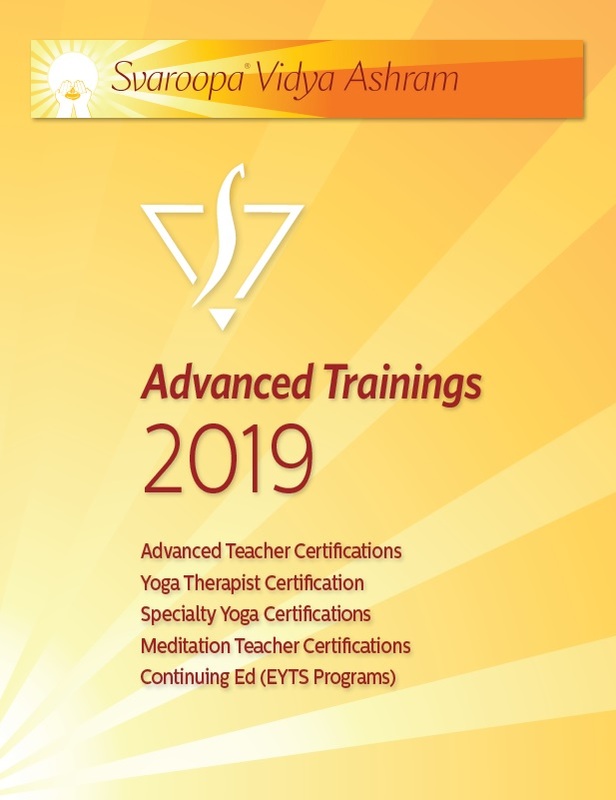 You may begin your ATT courses after completing YTT Level 2 (200 hours), though most courses become available once you earn your CSYT certificate (500 hours). Choose the level of mastery you want to achieve, while earning certifications after every 2-3 courses. Gain the knowledge, depth of personal practice, and technical expertise it takes to be an advanced Svaroopa® yoga professional. Expand your skills, increase your income, deepen your personal experience of Svaroopa® yoga, and guide your students to more profound levels of experience. Empower yourself with the knowledge to teach and live the complete practice of Svaroopa® yoga. Your advanced study is based in the deepest teachings of yoga, focusing on a comprehensive array of ancient texts as well as the deeper levels of asana. You learn to interweave deeper poses with deeper knowledge - by creating and sharing contemplations on yoga's ancient philosophy with your students. As a Yoga Therapist, you also train in medical terminology and how to work with your clients, their families, and their physicians to dramatically impact the healing process. Click here for our ATT brochure.